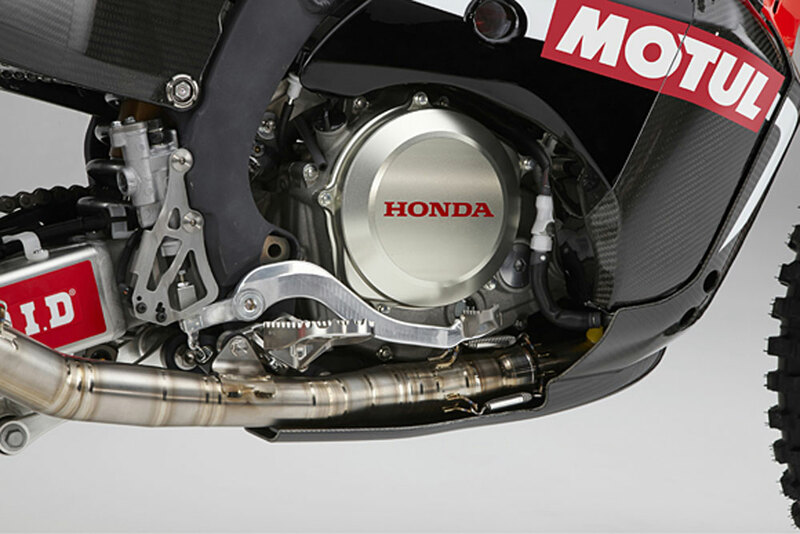 Bike riders around the world rely on Honda to produce reliable motorbikes that do what they are supposed to do, with little if any drama. 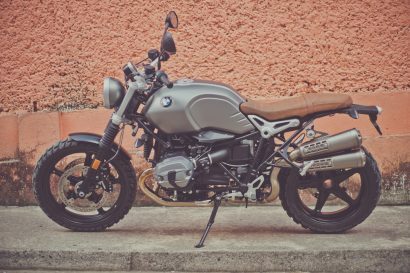 They produced their first motorcycle in 1949, and was unarguably the world’s largest motorcycle manufacturer by the early 1960s, largely due to the success of utilitarian designs like the Super Cub. 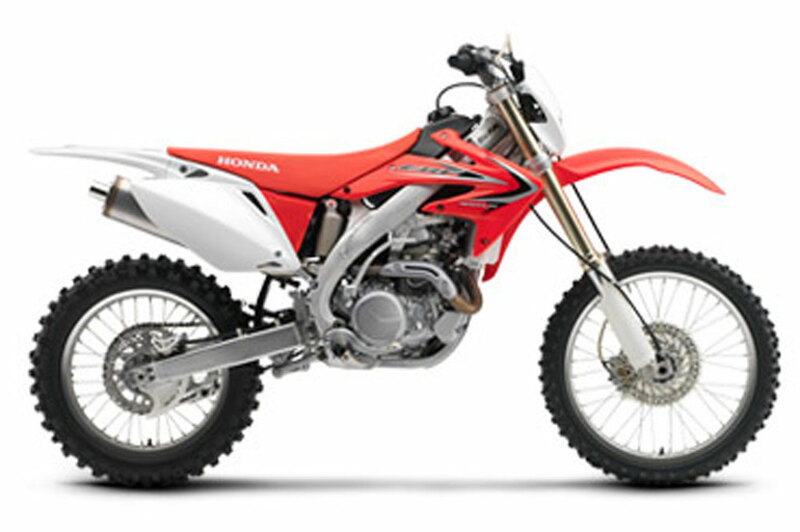 The problem is that modern Hondas have long been lamented as the Toyota Corolla of the dirt-bike world. 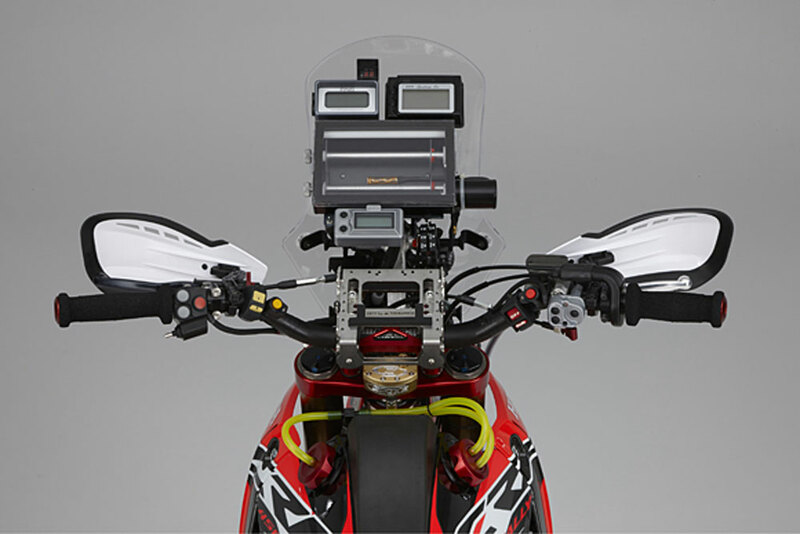 Soulless machines, where every one is identical. 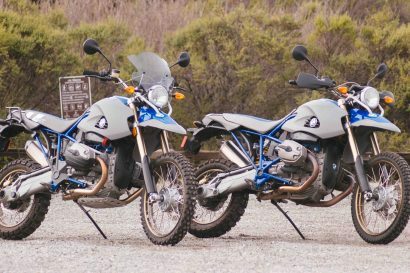 Bikes that go where you want them to, don’t break down, have adequate performance, but somehow still leave you gazing wistfully at your buddy’s KTM at the end of the day. 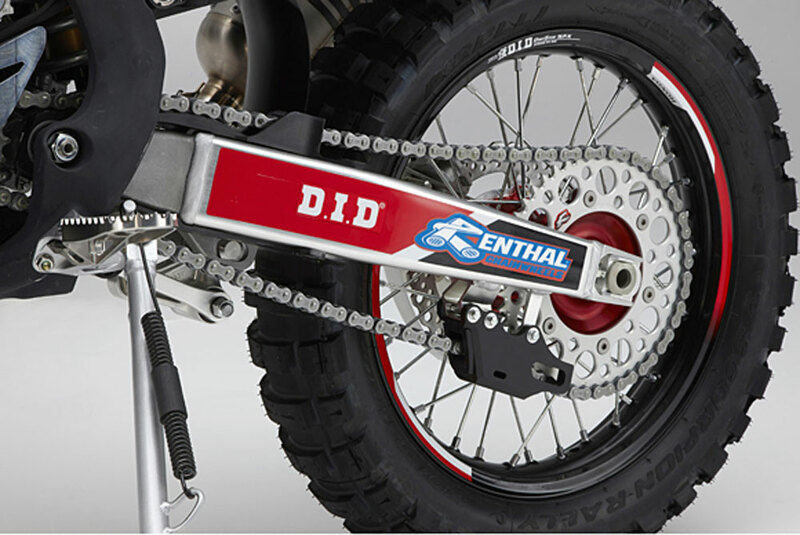 Styling-wise, they haven’t really been breaking barriers either, especially their DS models. 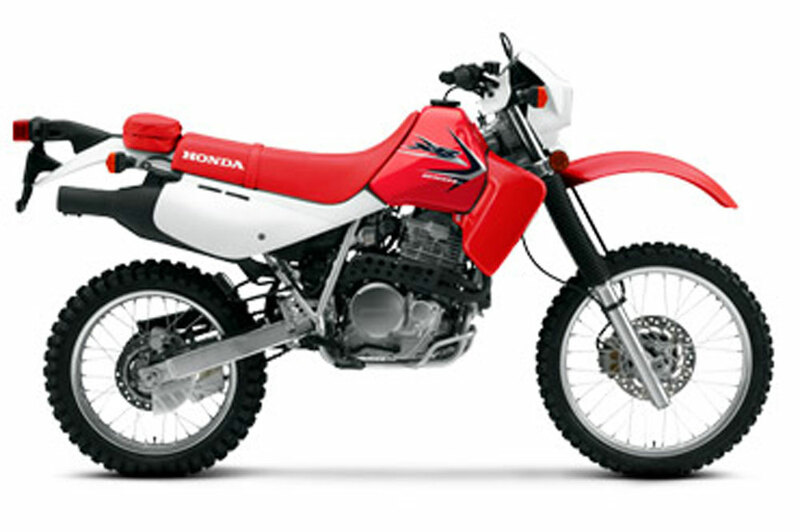 The XR650L for example has been produced, virtually unchanged, since 1993. 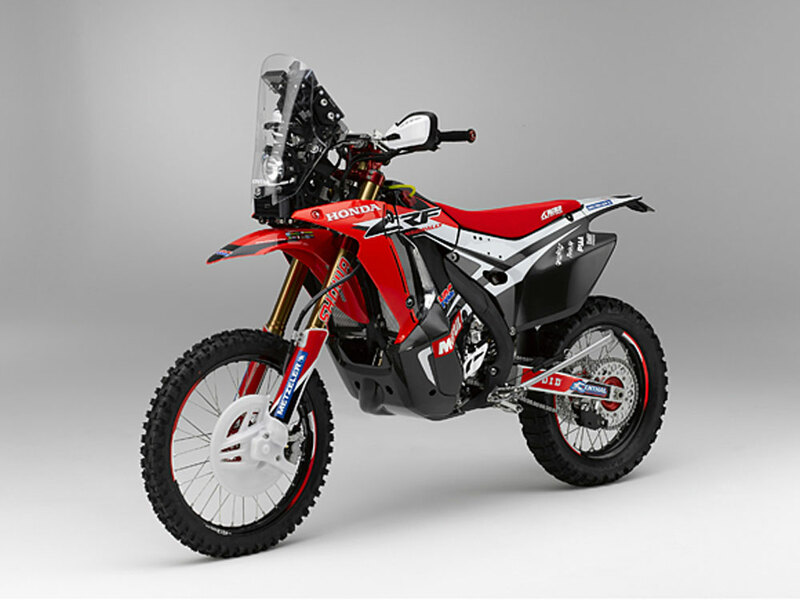 Even the flagship CRF450X, a technically more advanced platform for sure, looks placid, and frankly, boring, especially when compared to the latest european offerings. 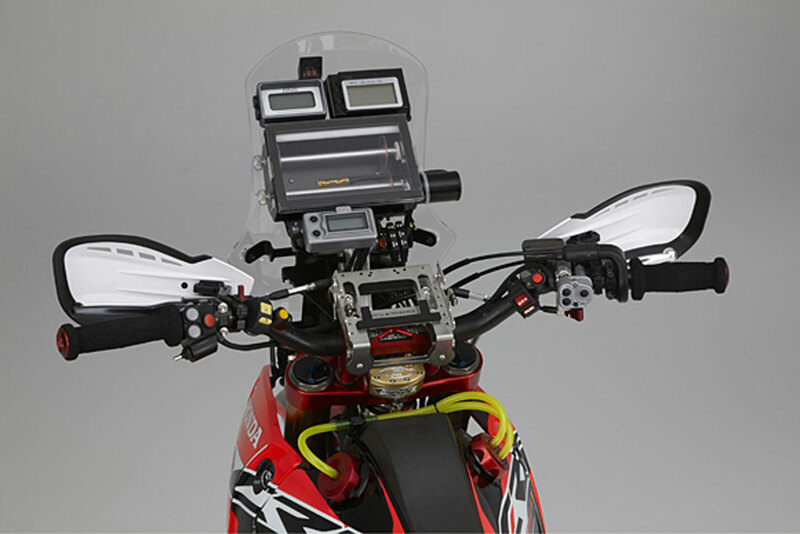 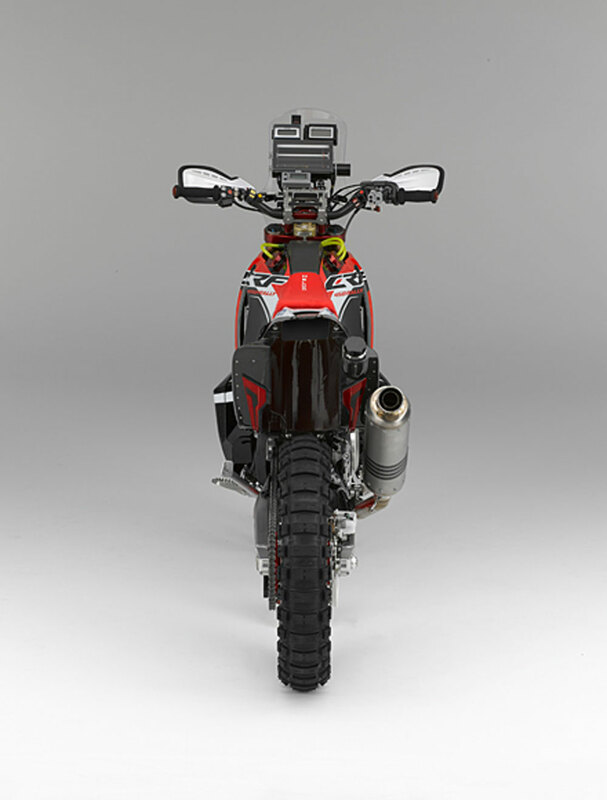 That all changed this week, when the new CRF450 Rally was announced. 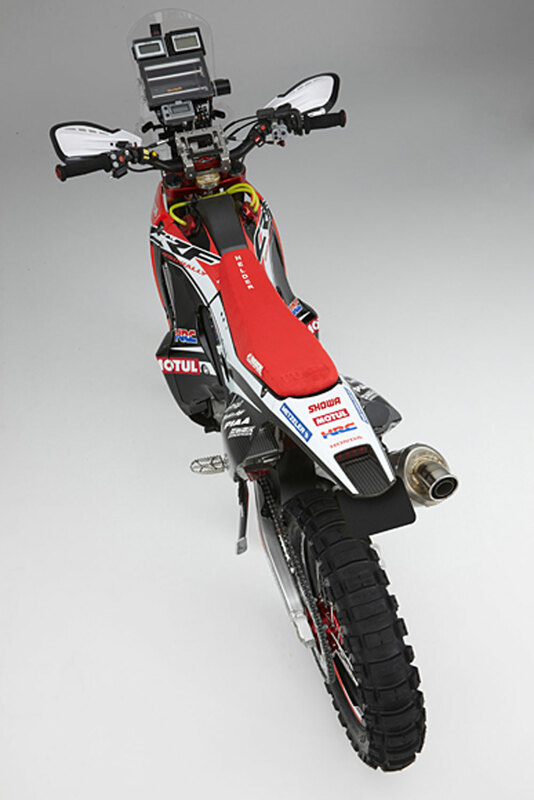 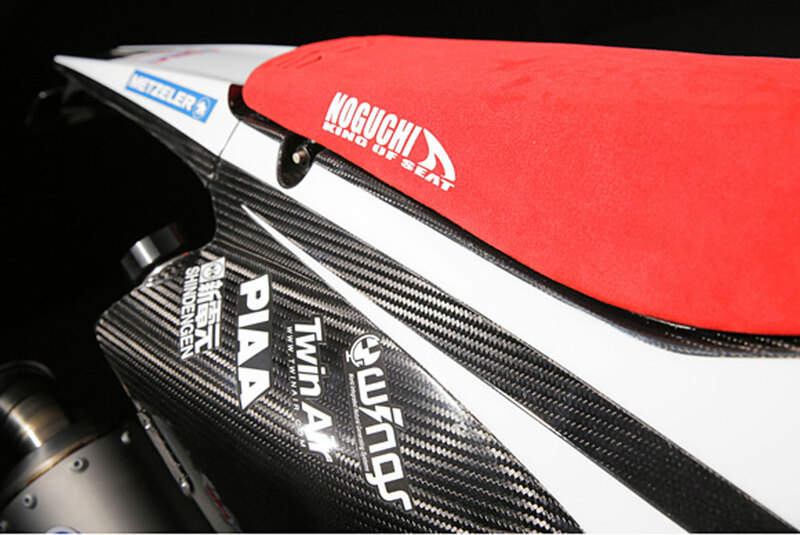 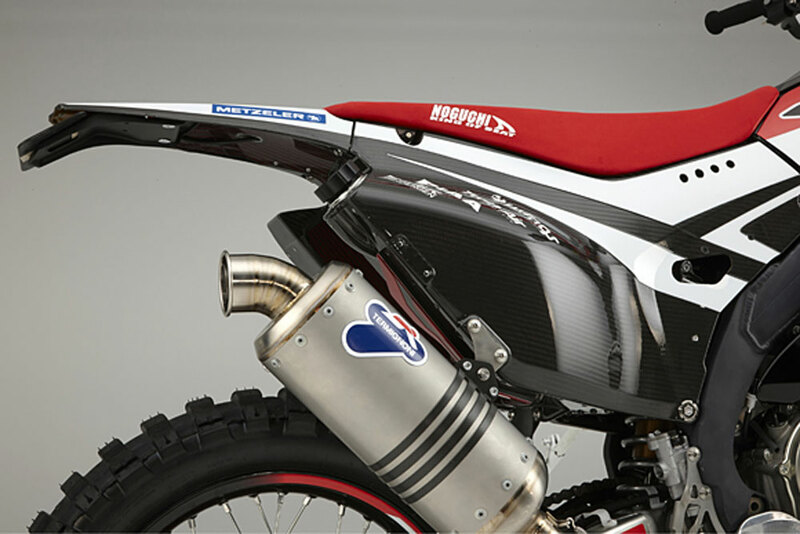 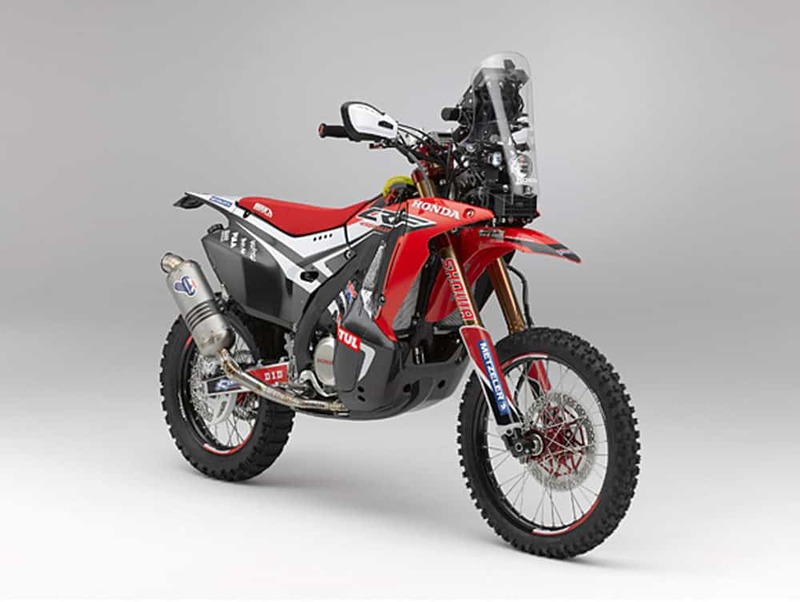 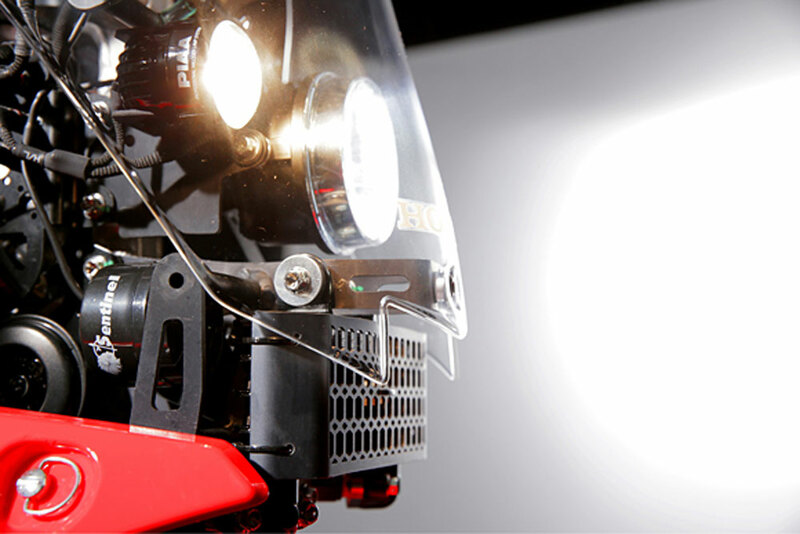 The impetus for this bike was Honda’s announcement in 2013 that they would enter the Dakar Rally for the first time in 24 years. 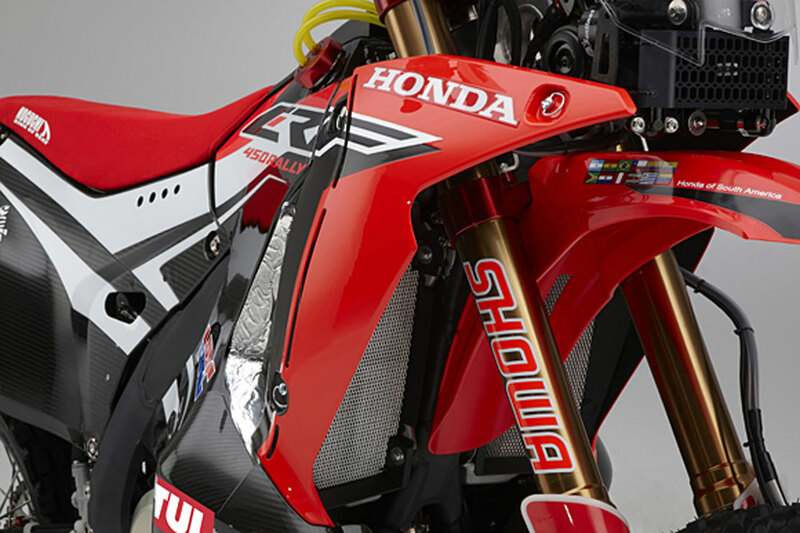 The bike they built last year was built around a standard CRF450 engine, and this year’s bike leverages everything Honda learned in last year’s race, and bumps it up a couple of notches. 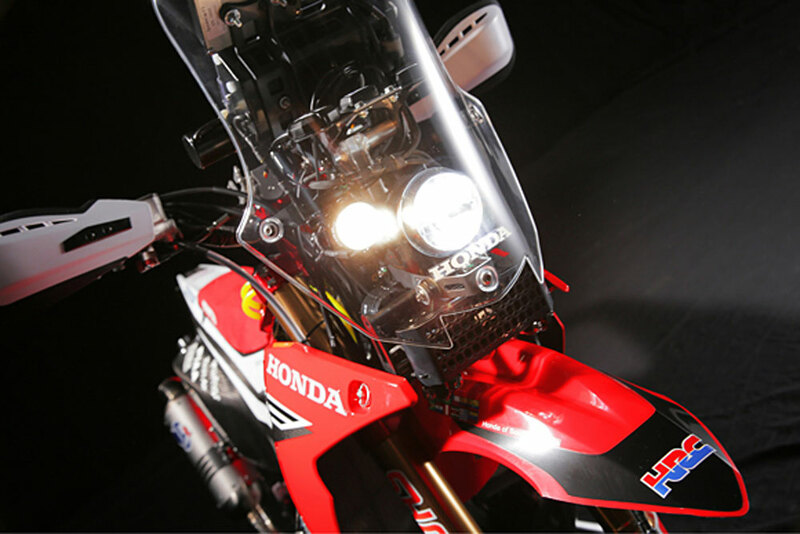 As a race-bike Honda isn’t forthcoming with too many technical details, but the total package is a beautiful machine, that looks as good on the stand as we are sure it will look launching off the dunes. 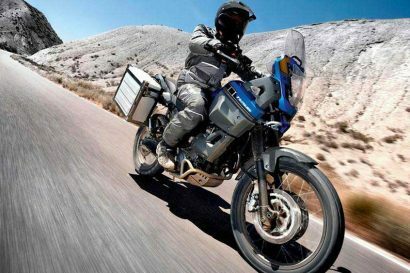 We hope some of that style, in addition to the technical advances, trickles-down to the bikes we can buy in the showroom.